How to watch BLAME! (2017) on Netflix Netherlands! Yes, BLAME! is now available on Dutch Netflix. It arrived for online streaming on October 4, 2017. 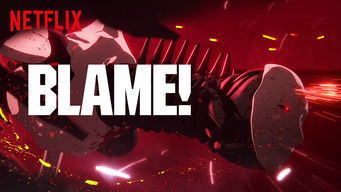 We'll keep checking Netflix Netherlands for BLAME!, and this page will be updated with any changes. Inside a vast, self-replicating city bent on eliminating all life, mysterious loner Killy emerges to guide a remnant of humanity desperate to survive. The endless city no longer responds to humans; its guardians treat them as vermin. He's fighting to change that.